Prepare and chill pie crust (for at least 1 hour). Preheat oven to 425 F and lightly grease your pie dish. On a well-floured surface, roll out half the dough. Press into the greased pie dish and replace in the fridge to chill. Whisk eggs, sugar, and spices together. Add pineapple. lemon juice and zest, and passion fruit juice and pulp (unless pulp freaks you out, in which case I suggest using 8 or 9 passion fruits and straining the juice from them). Roll out the other piece of dough and cut into strips if doing a lattice top. 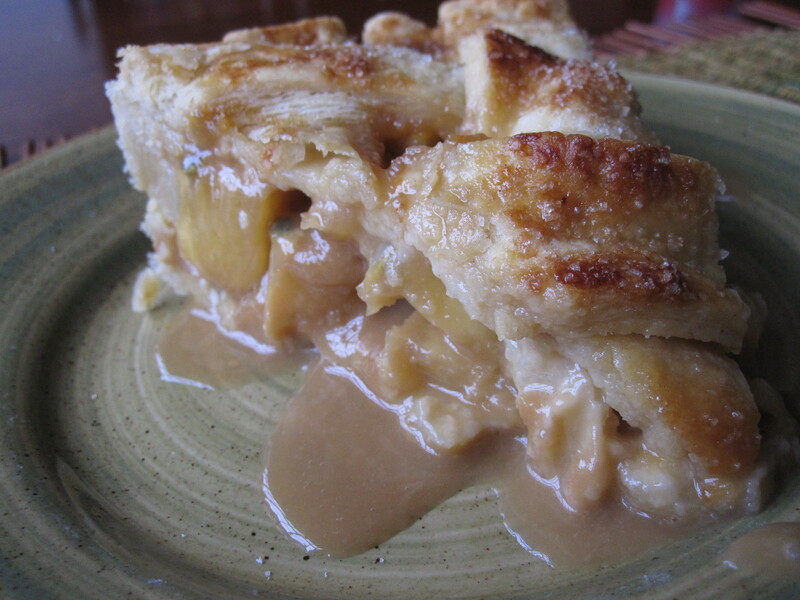 Remove chilled crust-lined pie dish and pour fruit mixture into the pastry, mounding slightly in the middle. 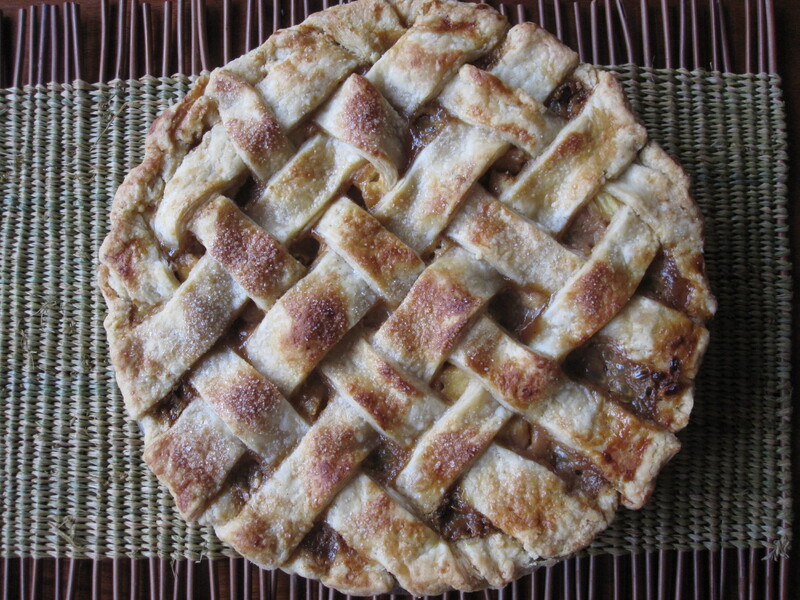 Place lattice top or full crust top over the pie, fold the edges over themselves and pinch tightly, then pinch around the edges. 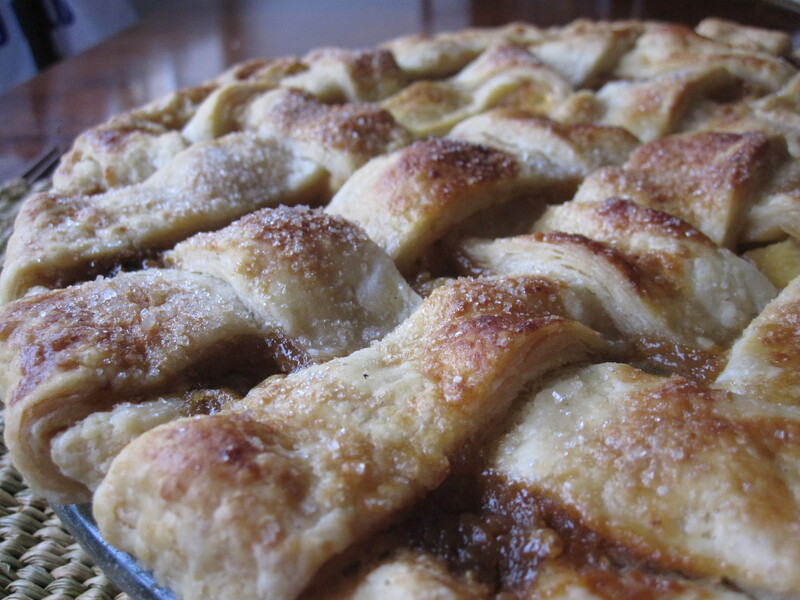 Brush the top with some of the juice from the pie, then sprinkle with cinnamon and sugar. Bake for about 45 minutes until crust turns golden brown. Let chill for a couple of hours before cutting into the pie. This entry was posted in Pie and tagged africa, passion fruit, pie, pineapple. Bookmark the permalink.